Something to look forward to: It seems that all the rumors over the last few months were true. LG’s upcoming new flagship, the V40 ThinQ, will come with a total of five cameras. A new, official-looking render from renowned leaker Even Blass and a video from LG expose the handset in all its glory, showing us what to expect when it’s unveiled next week. Adding more cameras appears to be the new trend in the phone industry. Huawei’s P20 Pro is the most famous model to feature a triple rear-camera setup, though it has just the one selfie cam, while Samsung recently revealed its first three camera phone—the Galaxy A7—and is expected to unveil the Galaxy A9 Star Pro on October 11, which has four rear cameras. 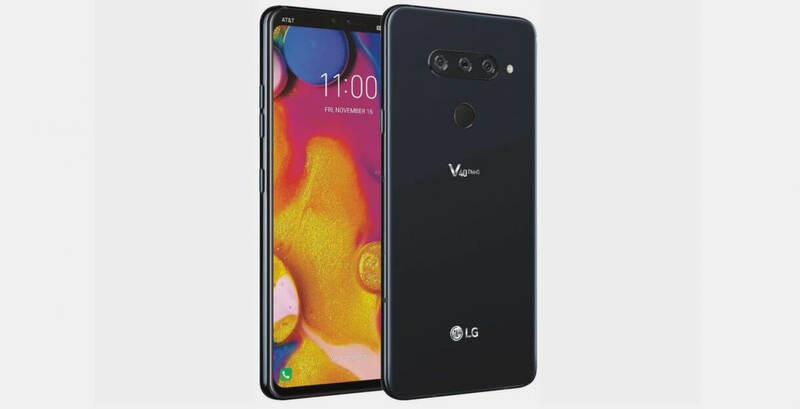 The new images of the V40 ThinQ look very similar to those we saw back in August, with the horizontally aligned camera array sitting above the circular fingerprint reader. It’s suspected that the cameras will include a wide lens and a super wide-angle option, while the third sensor may be either a telephoto lens with an optical zoom, a monochrome sensor, or a depth sensor. At the front, we can see the slimmed-down bezels and the two selfie cams. While it’s hard to tell in the pictures, the cameras are sitting in a notch—LG lets users hide it using a black bar on the screen. We’ll learn more about the LG V40 ThinQ at the company’s ‘Take 5’ event on October 3.